Having planned out numerous Cinco de Mayo menus, let’s quickly complete the weekend with a Louisville-inspired meal. In a frosted mug or official Derby Julep cup (yours truly is lucky to have many of these), muddle a half dozen mint leaves, 1/2 oz of simple syrup, and 2 tsps. water. Top with crushed ice, then add 2 1/2 oz. Bourbon. 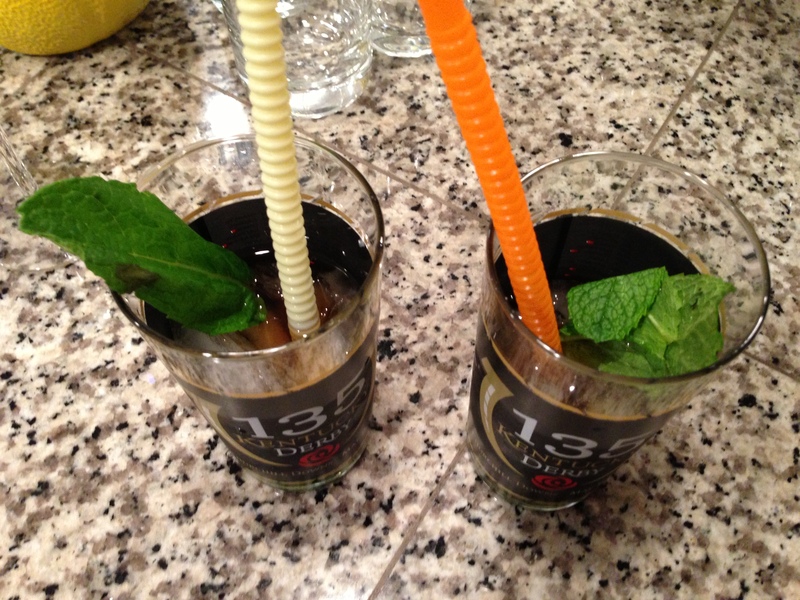 Top with 2 more mint leaves and sip with a metal straw. It’s nobody’s favorite cocktail, more a refreshing way to take a Bourbon shot. Do…not…skimp on the mint! And make sure the Bourbon mingles plenty with the simple syrup or you’re in for a stiff drink. I’ve never had beer cheese, but it’s supposed to be a Derby staple. You can’t go wrong with a recipe like this for an appetizer. For a twist, let’s add some levity with a spinach, bacon, and blue cheese salad, tied together by a Bourbon vinaigrette from one of Louisville’s most exciting chefs, Edward Lee of 610 Magnolia. Next cocktail, the Seelbach Cocktail from Louisville’s Seelbach Hotel. In a Champagne flute, build 3/4 oz. Bourbon, 1/2 oz. Triple Sec, 7 dashes of Angostura bitters, 7 dashes Peychaud’s Butters, and top with 4 oz. chilled Champagne. Garnish with an orange twist. 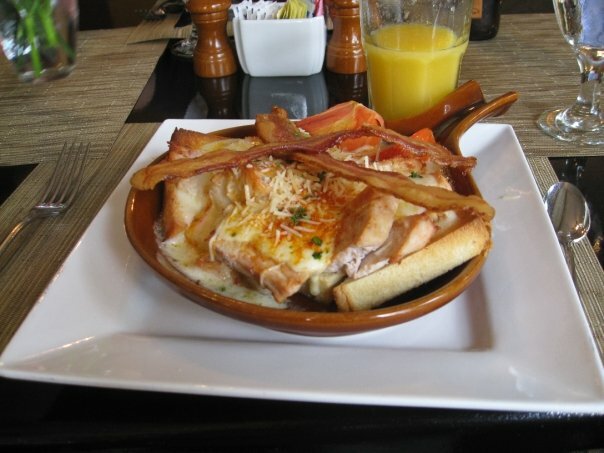 For an entrée, the definitive Hot Brown sandwich from the Brown Hotel itself. It’s healthy, right? Dessert: Why of course, Derby Pie! It’s the same thing as “Not Derby Pie,” essentially a pecan pie with walnuts instead and the addition of chocolate chips. To finish? Keep that Bourbon motif going with a snifter of Maker’s Mark or Woodford Reserve. 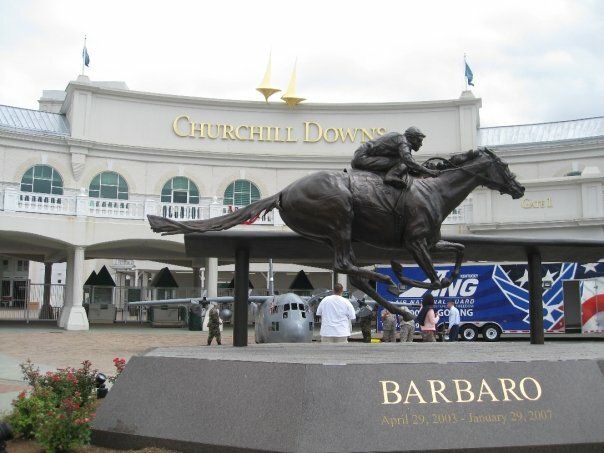 Hopefully you can cheers to your pick winning the Derby! 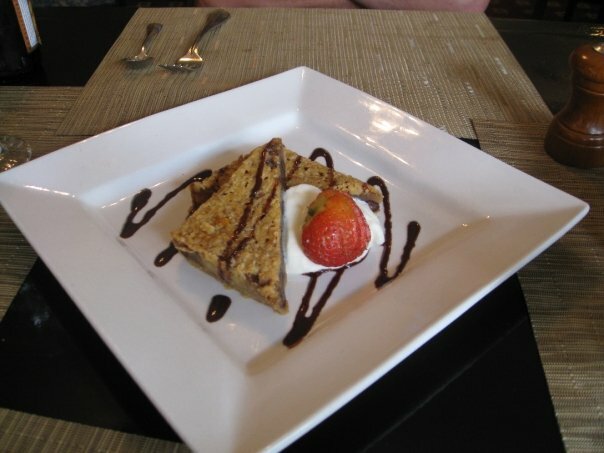 This entry was posted on May 3, 2013 by trevsbistro. It was filed under Cities .